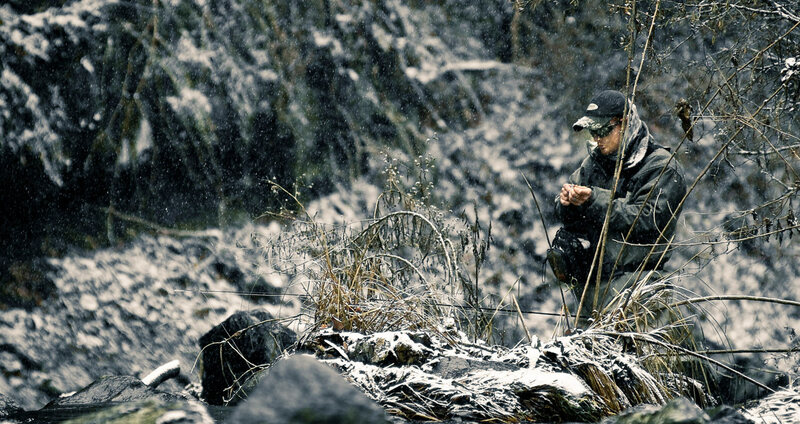 Being prepared for a day of winter fishing means more than having a box of the right flies. I got an email earlier today from a customer who had just gotten back from the river. 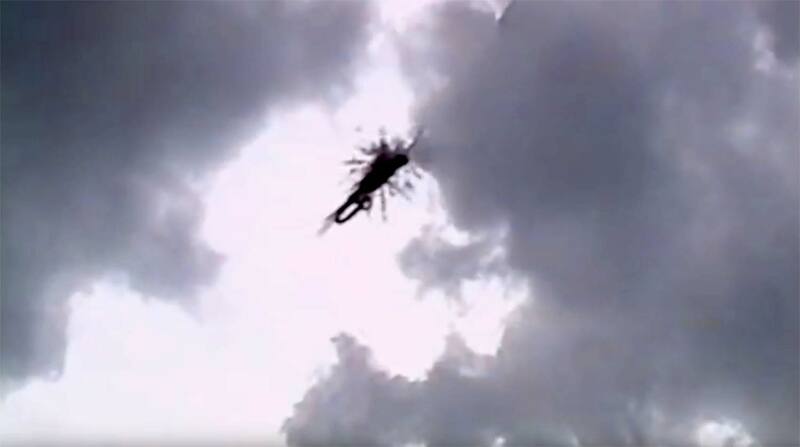 He had attempted to fish the South Platte however, after several hours of trying to cast between floating icebergs and slush, he decided to wave the white flag and head home. His question was to know how to predict these sort of conditions ahead of time- before making the hour plus drive to find an unfishable river. The South Platte, like virtually every other tailwater around the country, is well known to be a year-round fishery. With that said, there are still a few other factors that need to be considered when planning a winter outing. Following these 5 steps are just as important as your fly selection if having a comfortable and successful day on the water during winter is your goal. Nighttime Temperatures. Everyone loves to pay attention to the daytime temps you’re likely (or more like keeping the fingers crossed) to experience during your day of winter fishing. A sunny, 40 degree day during January can feel like a heat wave, particularly if you’re coming off a nasty cold stretch leading up to it. And while pleasant daytime temps are something no one will complain about, the nighttime temperatures in the days leading up to your trip are just as important to pay attention to. 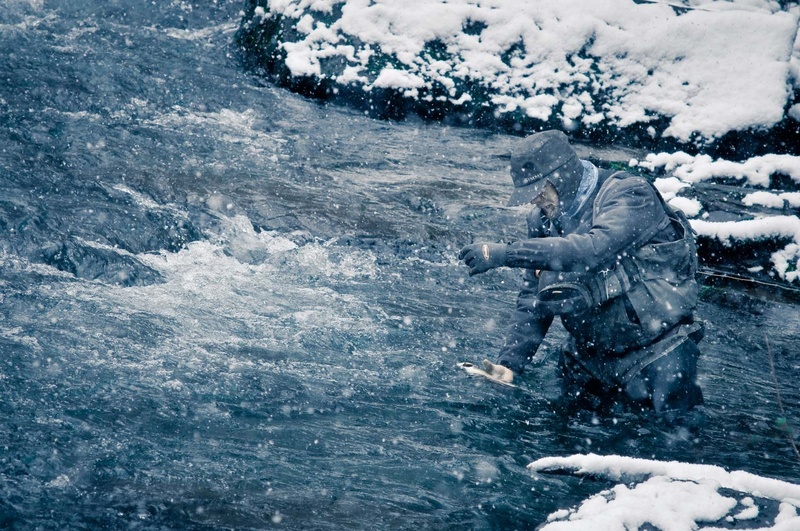 Given the fact that it’s winter, fishing a tailwater is always going to be your best bet. If you see nighttime temps are hovering around freezing, plan on seeing the majority of the river open. On the other hand, if your day on the water is immediately following a especially cold stretch- i.e. single digits (or lower) at night, followed by sub 32 degree days, then plan on the situation mentioned in the first paragraph to be what you encounter. Thankfully, given the wonderful nature of tailwaters, the remedy to avoid fishing in a “Slushy” is to just plan on fishing closer to the dam. The water should remain warm enough–particularly within the first mile below the outlets– to remain relatively ice free compared to the lower stretches. Layer Properly. I know this seems like common sense, but it’s something I see a lot of people do wrong. COLORADO HAS SOME OF THE TOUGHEST TAILWATERS ANYWHERE. Tailwater trout get a good education. They see plenty of attention, especially the fish in Colorado’s well publicized fisheries. The Yampa, here in Steamboat Springs, is a great example. 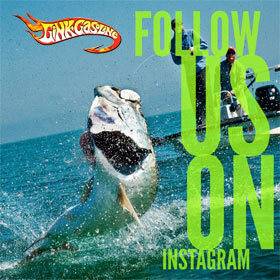 A lot of anglers think they can’t catch these fish. Trout have a brain that is smaller then a pea. Tailwater trout may be educated but I’m positive that you can out-think a trout in a technical tailwater situation. HERE ARE FIVE TIPS TO HELP YOU CATCH INCREDIBLY “SMART” FISH. 1. Go light and go small. Fish are creatures of their environment. If they see small bugs all the time then you have to fish accordingly. 7X tippet and size 24 or 26 bugs are what the fish are looking for. Go down in tippet size before you switch fly patterns. If you are fishing with an indictor, go with something that matches the color of the sky. If it’s overcast, use gray yarn, if it’s clear use a small clear or white Thingamabobber or yarn. You can also use a Slinky indicator. They are deadly with picky fish. If you are using split shot, make sure they are not flashy at all. Anything painted in a moss green is better then silver lead. From still to moving waters, members of the Chironomidae family abound. As a result of this, they are frequently found on the dietary menu of trout. Having a diverse selection of imitations for this family of insects can greatly increase your chances of connecting with fish. Natural Chironomids consistently display a degree of translucency. 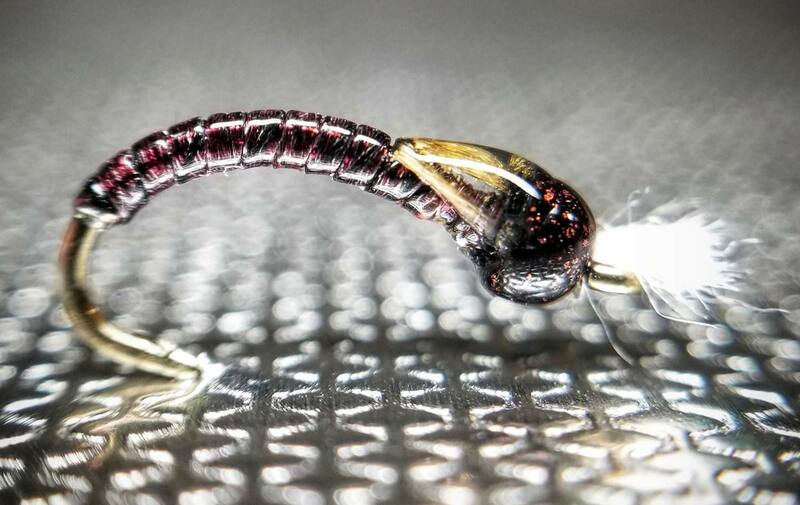 In an effort to imitate this element, the outer body of the Masterpiece Midge is constructed of clear stretch tubing. In an underlying foundation, Veevus Body Quil is laid down to provide color and a slight degree of reflectivity. The combination of these two materials creates a powerful subsurface effect. When submerged, the clear tubing catches light and returns a glowing mottled coloration reflected from the body quil. In addition to this, the perfect segmentation created by the tubing, accurately imitates the natural while providing a high level of durability. The wing buds are a prominent feature of a Chironomidae Pupae. In imitation of this, MFC Sexi Floss is applied. This spandex material has a slight degree of reflectivity. Coating this element with UV clear coat creates an accurately translucent and durable imitation. New features and tech in the Simms G3 Guide waders make them some of the best I’ve ever used. In thinking about how to write this review, I’ve decided that it needs to be two reviews in one. There are some big upgrades in the new G3 Guide Waders that need to be discussed on their own merits. The topic of River Camo as a fishing tool is something I will address separately. For about the last seven years, I have fished in my Simms G4Z waders. I have, for some time, considered them the natural end on the wader conversation. 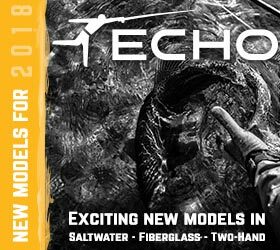 I have tested waders from every major manufacturer and found nothing that came close. If you are a regular reader, you will recognize that it has been a long time since I wrote a wader review, and that’s why. My G4Zs have never leaked or failed me in any way and I never pictured myself wearing anything else, until I got a call this summer from Gustavo Hiebaum, of Andes drifters, inviting me on a pretty special trip. My buddy Johnny Spillane and I spent a week in Patagonia exploring an exciting new fishery. We hiked way into the Andes Mountains and explored streams that may have never been fished. At least not in a generation. We were literally cutting our way into the river with machetes. In some cases we were sight fishing to big brown trout in very shallow spring creeks. “It’s like New Zealand in Patagonia,” Gustavo told me. 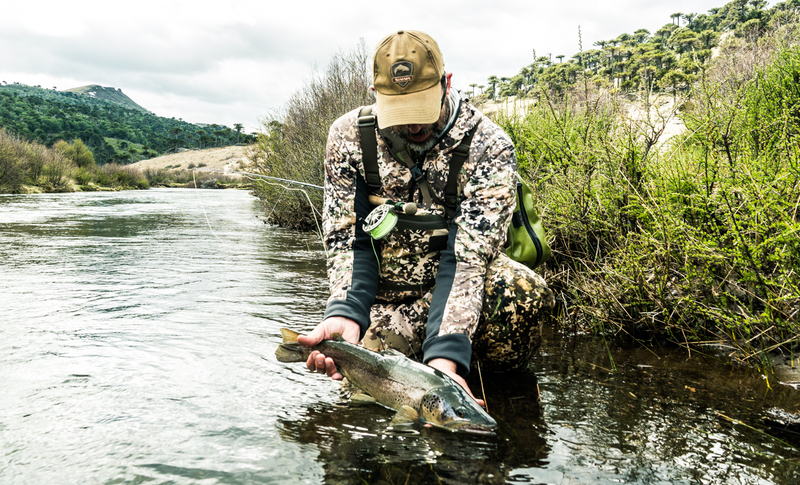 Simms had just released the River Camo G3 waders and it seemed like the perfect trip to put them to the test. Many of my beginner level clients, struggle when it comes to reading trout water. More specifically, they find it difficult when they have to compare two different sections or types of water, and quickly decide which one of them should yield them a higher percentage for success. In turn, I get asked the question often, “What’s the type of water I like to target first, when I have the opportunity.” I usually respond with “If I have a choice, and I’m looking for consistent fishing locations year round, I prefer to target turbulent water (faster moving) over calm water (slow moving).” It’s the riffles, pocket water and main current seams that fly anglers will generally find the turbulent water, and that’s the kind of places that not only will provide everything a trout needs to survive, but furthermore, the trout will usually be less picky as well (easier to catch), since the water is moving more swiftly. 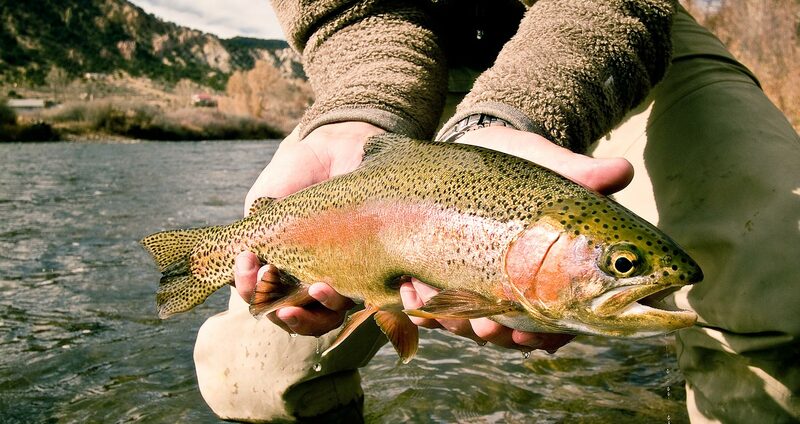 Below are five reasons why fly anglers should search out and fly fish turbulent water when they’re fly fishing for trout. Take a trip to the underwater world of trout. Fair warning, you may think I’ve lost my mind. This video is likely to set your teeth to grinding well before you get to the good part. It’s about the nerdiest thing I’ve ever seen. The voiceover has all the charm of a 1960s 16mm science film and you will need a pocket protector to watch it, but if you do, I promise you’ll learn something. The footage has some amazing moments and the insights are spot on. It’s chocked full of useful info for trout fishers and dispels some old myths about trout fishing, while confirming some truths many anglers overlook. Whatever you may think of the presentation, it’s clear that a ton of time and hard work went into its production. There’s plenty to be learned, so prepare yourself for some serious nerd-on-nerd action and enjoy. 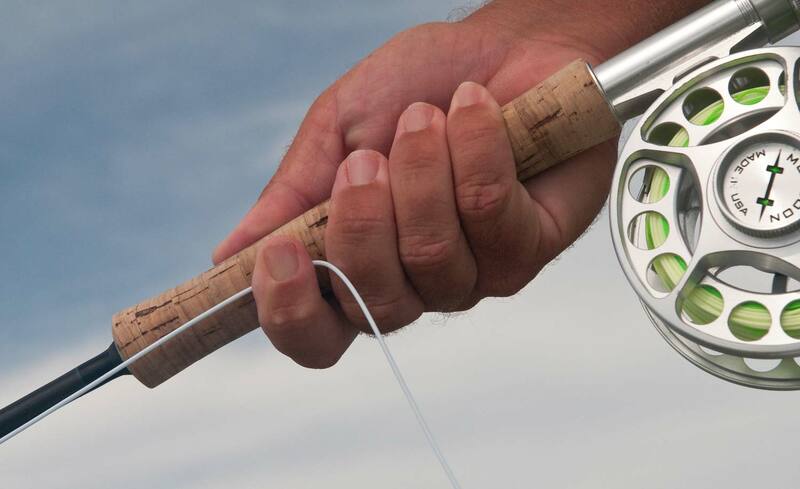 The grip is the most fundamental part of your fly cast. When I’m helping someone with their casting, their grip is always the first thing I look at. 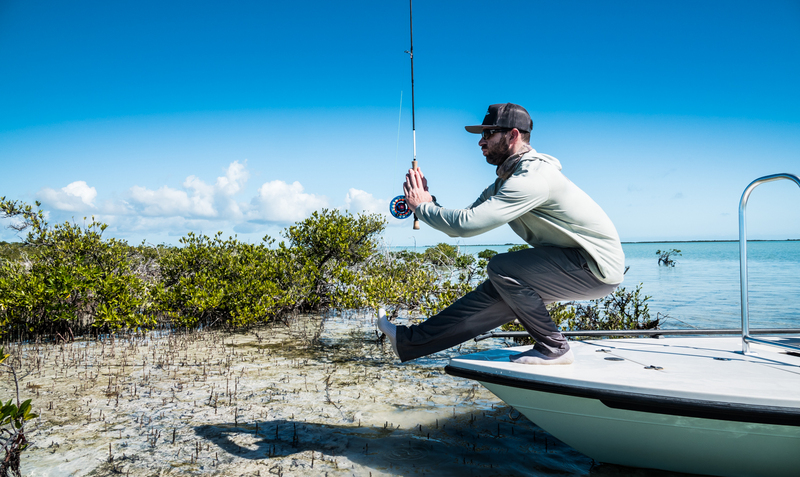 The grip is so basic that many anglers never take time to learn it. 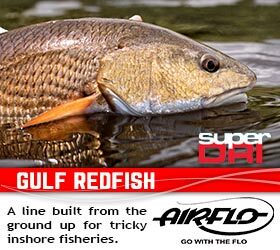 A bad grip has effects that ripple out through your casting. Even if you have a good grip, you may be using it wrong. It’s more common than you’d think. In fact, I struggled with it myself for years. Don’t let your grip slow you down. 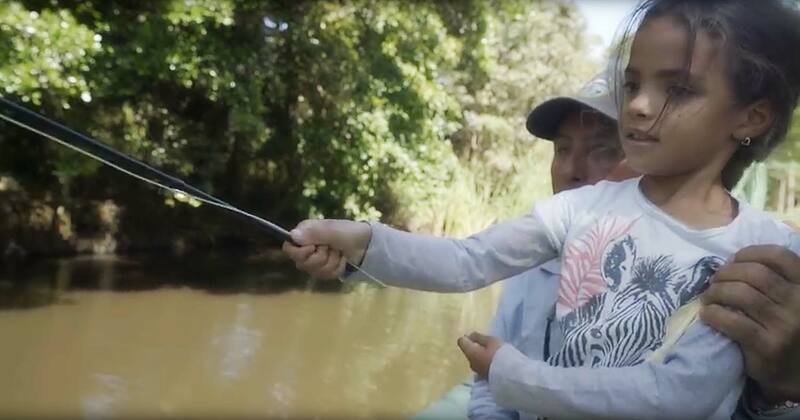 Take some time to learn the best way to hold the rod and work on it when you practice your casting. It will pay you back in more fish. 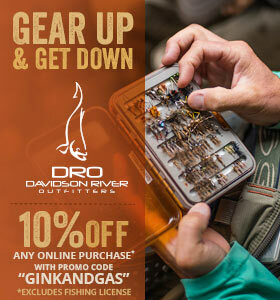 WATCH THIS VIDEO TO LEARN THE BEST WAY TO GRIP A FLY ROD. Coming up with a reliable and effective solution for traction can be frustrating. Not to mention, expensive. Screw-in studs are costly and are often lost or in need of replacement for those of us who wade hard and often. Other solutions, such as interchangeable soles (like what Korkers offers) will eventually need replacing and aren’t terribly cheap either. And your piggy bank will surely take a hit if you are forced to buy a new set of boots. However, with safety being of upmost importance, we are often willing to shell out our hard earned dough time and time again to help make sure we keep the rubber side down. However, one product that I have found has definitely been worth its price tag while also keeping me surely planted to the riverbed. 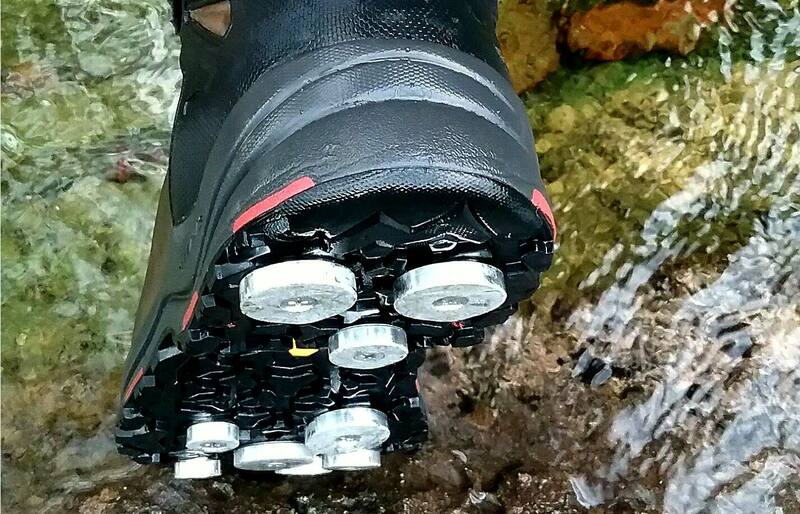 Rock Treads has developed an aluminum traction system that can be easily installed on any wading boot on the market and grip like a vise. Their kits contain three sizes of quarter-inch aluminum discs that can be installed using their various mounting systems. Whether you have felt soles, rubber soles, or interchangeable soles, Rock Treads can be installed in them, enhancing your traction while wading with the added benefit of helping to prevent the transfer of invasive organisms between watersheds.